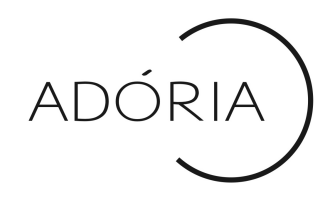 The Adoria brand makes available an online article sales service (website) on www.adoriaswimwear.com and collects information from Customers for the purpose of order processing and order shipping. For orders to be dispatched, it is necessary to collect the Customer Name, address of delivery of the order, payment method chosen, and email to send the message with order confirmation. The Customer chooses a password to access an exclusive Customer area, check the order and follow the order from shipment to the delivery address. The website provides the Customer with a tracking number for the order package, so the Customer is able to follow the order until delivery. The Customer may contact the website by telephone, by Skype, by Facebook, by email or through the website contact form. The response to the message is sent to the email address indicated or used by the Customer. Cookies are used for browsing and operating needs of the website, and to adapt the presentation of the website according to the device used (desktop or mobile). The Adoria brand respects the protection of personal data and the safety of its Customers.